Simon chanced upon this beautiful otter in the Catalan Pyrenees. There could hardly seem a less promising place to go naturalising than the stretch of the Noguera Pallaresa just downstream from Tremp, ‘capital’ of the Pallars Jussà comarca in the Catalan pre-Pyrenees. Ángel Jesús Calleja Hernándéz and David Ánarez Sánchéz (on fotonatura) have some remarkable photos and interesting text on otters in Extremadura and tips on how to photograph them. 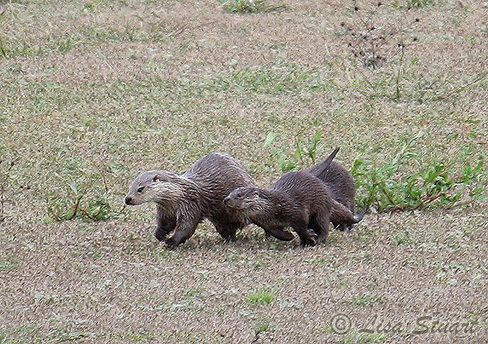 The otters were photographed in a small reservoir somewhere in Extremadura. There is a healthy population of otters in Extremadura and they have been used for reintroduction campaigns in the rest of Spain (eg Aiguamolls de Emporda.